What to get for that new chapter book reader on your list? Luckily, I have some great early chapter book series suggestions today. Buy one book as a stocking stuffer or wrap up a handful or a box set for a larger gift. 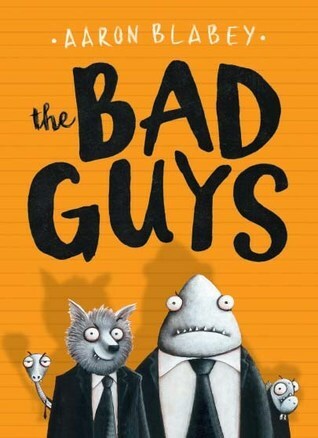 The Bad Guys by Aaron Blabey (Scholastic, 2017). This laugh-out-loud funny series is originally published in Australia and started being published in the US a couple of years ago. The "bad guys" of the animal world (Mr. Wolf, Mr. Snake, Mr. Shark, and Mr. Piranha) are determined to change their public image, but their quests to be "good guys" meet with hilarious failure. This is a highly illustrated series perfect for fans of Bad Kitty by Nick Bruel (another great early chapter book series!) or Carnivores by Aaron Reynolds and Dan Santat. 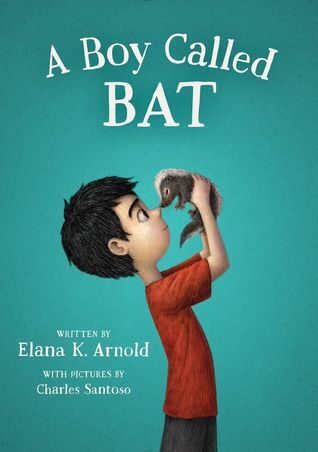 A Boy Called Bat by Elana K. Arnold (Walden Pond Press, 2017). Bat (Bixby Alexander Tam) loooooves animals. Sometimes he relates better to animals than to people. So when his veterinarian mom brings home an abandoned baby skunk, Bat falls immediately in love and wants to help take care of it. No matter how many times his mom tells him that a skunk is a wild animal and will need to be returned to the wild, Bat is convinced that he can convince his mom to keep it as a pet. Young animal lovers will love this book and its sequel, Bat and the Waiting Game (a third book is due out this spring). 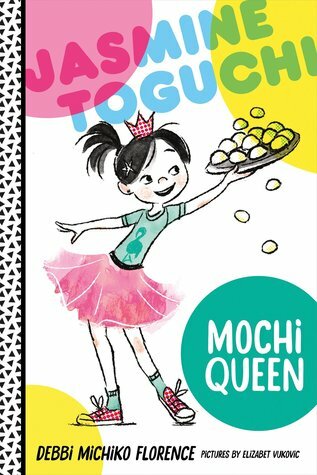 Jasmine Toguchi, Mochi Queen by Debbi Michiko Florence (Farrar, Strauss, & Giroux, 2017). Jasmine is a great choice for your readers of funny, determined young protagonists. In this first book of the series, Jasmine longs to join her older sister and the adults in their important jobs for their new year celebration, but she's not old enough to participate in the mochi-making... or is she? Jasmine comes up with a job for herself, but it's not something that girls traditionally do. This is a fun series that fans of realistic fiction will relate to and I love that they include elements of Japanese culture. 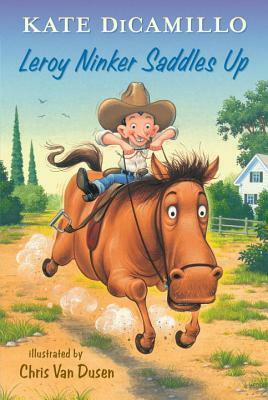 Leroy Ninker Saddles Up by Kate DiCamillo (Candlewick, 2014) and other Tales from Deckawoo Drive. This spinoff of the Mercy Watson series (another excellent early chapter book series) is a great choice for kids looking for funny, silly stories with unforgettable characters. In this volume, Leroy has everything he needs to follow his dream of being a cowboy like in the movies... except a horse. And when he gets a horse, she's not exactly what he had pictured. Lola Levine is Not Mean by Monica Brown (Little, Brown, 2015). 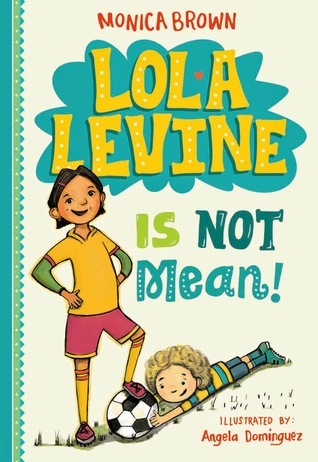 Lola Levine is a great choice for young readers who like spirited characters like Ramona Quimby or Clementine. Lola's heart is in the right place, but things don't always happen like she meant. Like at the school soccer game when she accidentally injures one of her classmates. Except no one believes it was an accident. They think Lola's a mean girl and she'll have to figure out how to prove them wrong. Half Jewish, half Peruvian Lola has determination to spare and you can bet she'll figure it out. 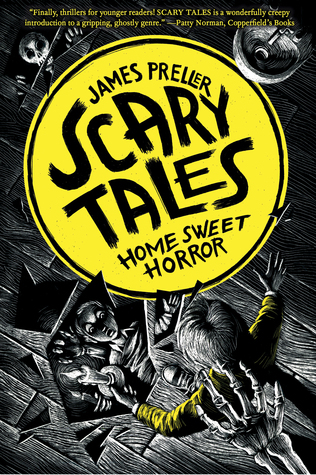 Scary Tales series by James Preller (Feiwel & Friends). This is the series if you have any young fans of seriously scary stories to buy for. From the design of the books with their graying pages and creepy illustrations, to the subject matter dealing with haunted houses, wolves at the door, and creepy dolls, these books set the scene and deliver the chills. Don't buy these for kids who claim to want "scary stories" when you know they'll have nightmares later. But for those kids you know can handle it, you'll be the coolest gift-giver ever. 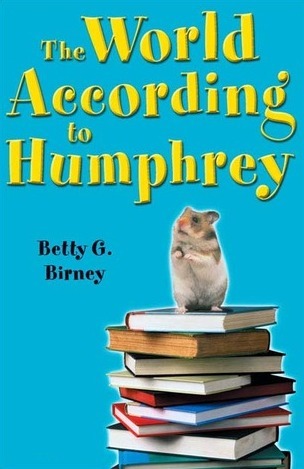 The World According to Humphrey by Betty Birney (Puffin, 2005). What's better than a classroom series narrated by the class pet? Humphrey the hamster loves the students in his class and he looks out for them in a lot of ways, even finding true love for the school janitor. This is another series that will be a serious hit for young animal lovers. If you have readers who aren't quite ready for 144 pages, there's also a Humphrey series for younger readers called Humphrey's Tiny Tales. If you're shopping for early chapter book readers, there are lots of great choices here. These are great for kids starting to read chapter books on their own or for families reading chapter books out loud together.